Faced with a terminal cancer diagnosis, Gareth Dunn (BA 2013)’s first thought was to fight back. With the help of a close-knit group of Cardiff alumni, he has so far raised over £99,000 for a cancer charity. He describes his friend Gareth as “super smart” and “a really, really impressive guy”. Gareth is a keen sportsman; was President of the Cardiff University History Society; and had ambitions of attending the Royal Military Academy Sandhurst. But just six months after graduation, Gareth was told that a tumour had been found in his right ankle. In an instant, the course of his life changed – his foot was to be amputated. “They thought they’d kind of nipped it in the bud,” reflects Chris. Gareth adapted to his limitations and refocused his energies. Unable to fight for his country, he set his sights on representing it as an athlete and joined the Team GB Paralympic Training Squad. On course for selection for the 2020 Games in Tokyo, Gareth had access to leading medical authorities – only to find, during one routine check-up, that that the cancer had spread to his heart and lungs. Gareth was given two years to live. The new diagnosis brought a new challenge and Gareth set up a JustGiving page with the intention of raising £100,000. 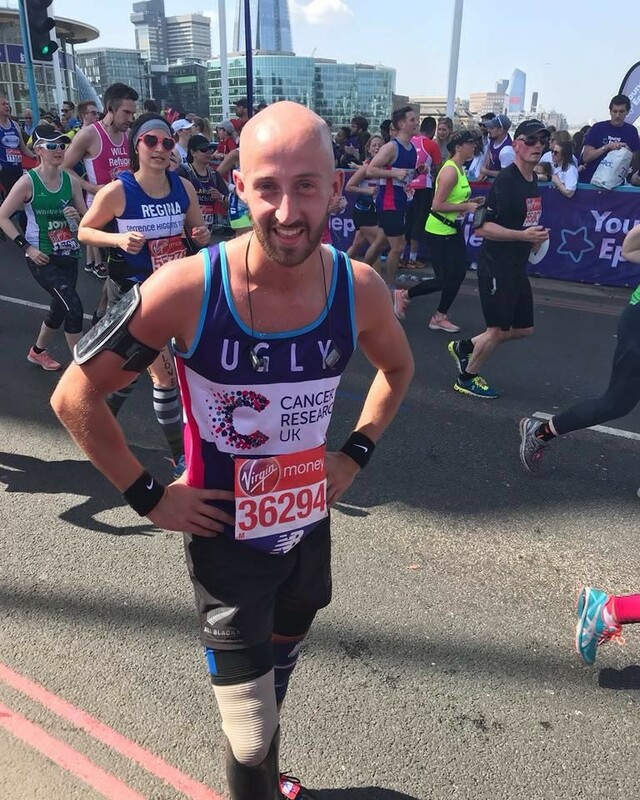 Even as a recent amputee, he had no qualms about competing in this year’s London Marathon (pictured), completing the 26.2mile course in less than six hours. His University friends were quick to follow his example. 12 Cardiff graduates participated in the Paris Marathon and a number of other road races taking place, from Southampton to Stockholm. In each case, the finish line was only the start. Between them, the Cardiff alumni tackled Tough Mudder, the 3 Peaks Challenge, the 100-mile Nello Cycle and countless other challenges in an effort to reach Gareth’s £100,000 target. Then last weekend, they came back to where it had all begun. Eight years on, those mates from halls had swelled in number – 22 Cardiff alumni were gathered at the sports field in Llanrumney, many of them having played football alongside Gareth in the Cardiff Intra Mural Games. 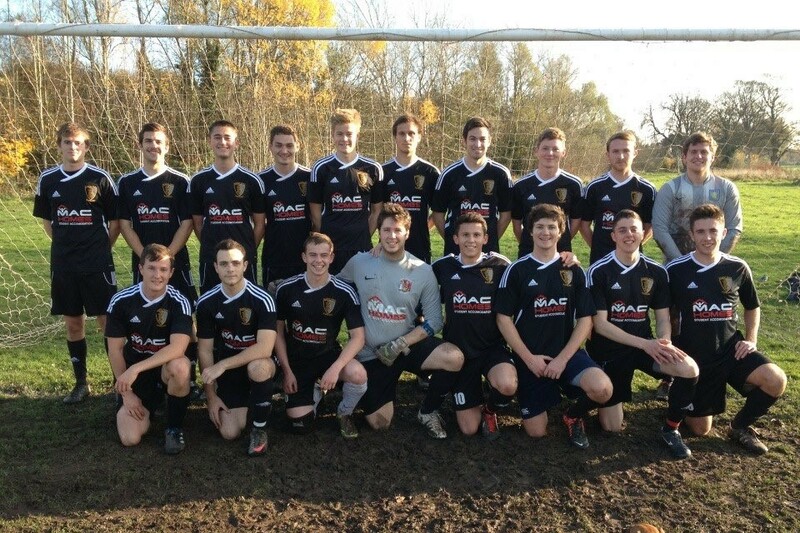 Each had donated between £25 and £100 to participate in a charity match for ‘Roath Park Rangers’, with kit paid for and sponsored by Juice (Cardiff University Students Union’s legendary club night) and facilities and officials provided by the University and Cardiff Referees Society respectively. A recent bout of chemotherapy meant that Gareth himself was unable to make a planned substitute appearance but also spared him the potential awkwardness of picking a team – he has represented both Starting XIs during his time at Cardiff. Cardiff University is at the forefront of cancer research in the UK – find out more, and directly support research at Cardiff University.